Integrate energy medicine with hypnotherapy for an effective 'east meets west' alternative. Dr. Kweethai has demonstrated her unique methodology in recent years at the IMDHA Hypno-Expo and Hypnothoughts conferences to the delight of audiences. She grew up with Traditional Chinese Medicine, gave it up for science, then returned to it as science failed to provide the answers so many people are seeking. 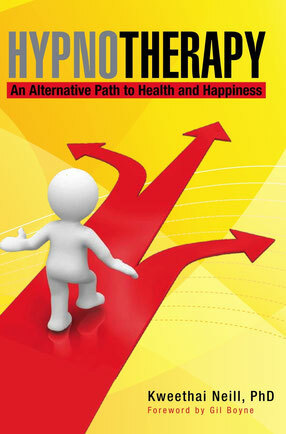 It is truly remarkable what the integration of hypnotherapy and energy work can accomplish. Learn how to apply hypnotherapy with energy work in your own practice at this interactive workshop September 27 through October 2, 2017, in Fort Worth, Texas with Dr. Kweethai. This is a 5-day workshop, 9 am - 6 pm most days. 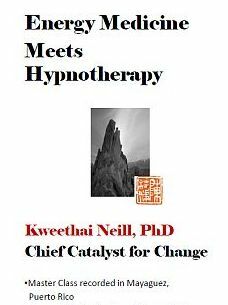 Hypnosis has been used for therapeutic purposes since the 1770’s, but the concept of inducing an altered state of consciousness to produce healing spans thousands of years and virtually every culture. Traditional Chinese Medicine, or energy work, has a tradition of nearly 5,000 years and is still practiced in many parts of Asia. Dr. Kweethai brings a fresh perspective to these alternative health practices by integrating them for efficient, natural healing. Too many modalities seek to merely treat the symptoms of stagnate energy in the mind and body. iChange Therapy, in contrast, facilitates change toward sustainable health and greater happiness by dealing with the energy itself. Cultivate your healing energies as you tap into clients’ energies. Facilitate transformation in the blink of an eye. Learn what it really means to be a Catalyst for Change. Cultivate and enhance your intuitive energies. Perform miracles in collaboration with your clients. Leverage new knowledge, skills and creative wisdom. Weave together the precision of science, the magic of hypnosis and the art of Qi. Attain your goal of becoming an excellent facilitator of positive change. Integrate energy medicine with hypnotherapy to relieve suffering from fear, pain, anger, stress; expressed as physical symptoms and emotional set-backs. Dr. Kweethai’s iChange Therapy integrates clinical hypnotherapy, Life Enhancement Training (language of change) and Energy Medicine (including Feng Shui) to help clients transform their lives from the inside out in an amazingly short time! People who are chronically stuck, sick, or just plain unhappy, are responding to negative emotions and stagnant energies that have taken up residence in the subconscious mind and resist every attempt to uproot them. That is why symptoms are relieved, only to be replaced by other symptoms. Medical science addresses the physical body. Talk therapy and self-help operate at the level of the conscious mind. To get at the negative emotions and stagnant energies in the subconscious mind requires an altered state of consciousness. That is the brilliance of hypnotherapy. As a skilled hypnotherapist you can open the subconscious so that emotions can be revised, thereby transmuting emotions that have supported unwanted behaviors and habits of mind and body. Energy work restores vital flows; allowing fear and anger to be transmuted to love and joy. The client feels a renewed sense of self, a Self worthy of love and respect. This Intensive Training will take your hypnotherapy or counseling practice to a whole new level. Practice and develop clinical skills under supervision while receiving excellent instruction and energies from master teacher, Dr. Kweethai. This is an interactive class where you learn by doing. It is intense, challenging, fun and exhilarating. You will leave with a sense of confidence and competence beyond your expectations. You will then dazzle clients with amazing results. This is a master class, so it is presumed you already are a certified hypnotherapist. Even at 6 days, there is no time to cover basic skills. Energy Medicine Meets Hypnotherapy in Puerto Rico is a video series available from iChange Press, the iHealth Center publishing arm. It contains some basics of Energy Medicine and several demonstrations, from hypnotherapy to energy work. If you have never seen Dr. Kweethai live, view the video series before coming to this training. Change is often as simple as transmuting negative energy to positive. Teach new hypnotherapists more effectively with this exploration of content delivery methods.